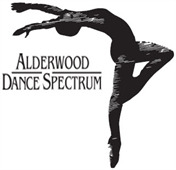 Welcome to Alderwood Dance Spectrum! Please complete the following registration form. Class fees are based on a 38 week term. Tuition is divided into equal installments based on a four week month. Months with five weeks will be charged the same payment to offset the months with less than 4 weeks. There is a $25 registration fee per year for the first student in the family. Each additional family member is $15. Tuition will be automatically deducted from your checking account (please provide a voided check or routing and account numbers) or charged to your credit card on the 1st of the month. If you wish to pay by credit card, please contact us at 425-771-2994. There is an additional $3/month handling charge for credit card transactions. No refunds will be given for tuition, registration fees, recital participation fees, or costume payments. There is a $20 charge for payments denied by the bank. Students entering late will pay full fee. Regular attendance is important to the dancer's progress and group choreography. Missed classes should be made up; check with the instructor or front desk for an appropriate class time. Injured students should come to class and observe, so they do not fall behind. Irregular attendance may result in re-evaluation of class placement. Please make every effort for students to arrive on time and ready to dance. Late arrivals are disruptive to the class and those who miss proper warm-ups may risk injury. Alderwood Dance Spectrum requires 30 days advanced notice (a Withdrawal Form completed and signed at the front desk) to cancel enrollment and discontinue automatic payments. Visitors are invited to observe classes during the first week of every other month beginning in October. Photographs and videos are taken throughout the year and may be used on our website and for other promotional purposes and are the property of Alderwood Dance Spectrum Inc.
Alderwood Dance Spectrum Inc reserves the right to cancel or combine classes. I understand that due to the physical nature of dance, accidents and injuries might occur. I agree to release Alderwood Dance Spectrum Inc, Studio Properties, LLC, its agents and employees from any and all liability of injuries, loss, or damages which might occur from participation in a dance program. Alderwood Dance Spectrum Inc is not responsible for misplaced or stolen items.